The enchanted pumpkin muffin atop a Japanese chocolate Pocky crust. Cinderella’s positive attitude pays off and she waltzes into happily-ever-after with Prince Charming. Little girls in Japan – like their counterparts in other countries – love their Cinderella princess story. But, without a pumpkin carriage Cinderella might have never made it to the ball. Or met Prince Charming! Pumpkin is celebrated in this moist, soft muffin atop crushed chocolate Pocky. The pumpkin is a very, very important fruit. Excitement is palpable when Starbucks rolls out it pumpkin spice lattes. (Take a look online or visit Santa Monica, CA!) In Japan, diners delight in the traditional kabocha pumpkin squash on winter menus. Pumpkin pies proliferate exponentially during the Thanksgiving and Christmas season in the Western world. This month the Twelve Loaves bakers are celebrating the Great Pumpkin, too. The minute I saw my friend Marjory, The Dinner Mom’s Whole Wheat Pumpkin Muffins with Chocolate Chips post, I had the perfect pick to contribute. I tweaked Marjory’s recipe a tad. Japanese Pocky (chocolate covered biscuit sticks) were crushed to form a crust. 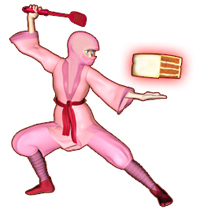 But the foundation of the recipe remained. The moist pumpkin muffins studded with chocolate brought smiles and praise from my cohorts in my comedy acting class. 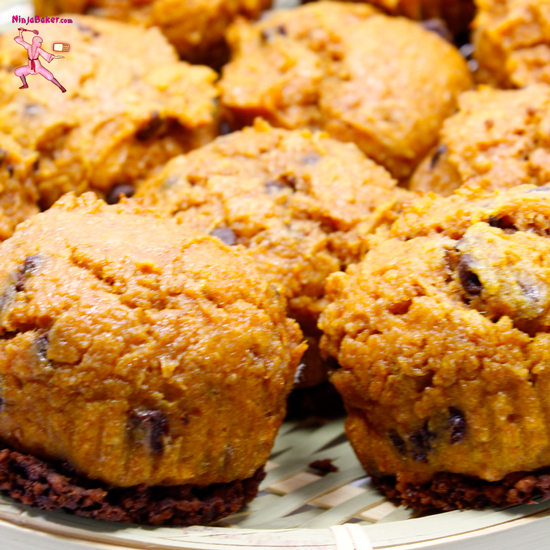 Hopefully you’ll find happiness in the Pumpkin Chocolate Pocky Muffins, too! 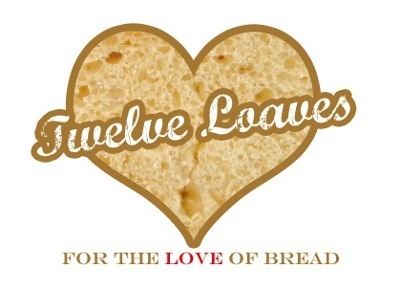 #TwelveLoaves  is a monthly bread baking party created by Lora from Cake Duchess  and run with the help of Heather of girlichef , which runs smoothly with the help of our bakers. Our host this month is Renee from Kudos Kitchen by Renee , and our theme is Pumpkin. For more bread recipes, visit the #TwelveLoaves Pinterest board , or check out last month's tempting selection of #TwelveLoaves Apple Breads! Wishing you days of pumpkin perfection. Please link your post to the linky tool at the bottom of this blog. The bread MUST meet the Twelve Loaves theme (Pumpkin).